Just Cause 4 is the 4th installment in the Just Cause series and is a sequel to Just Cause 3. 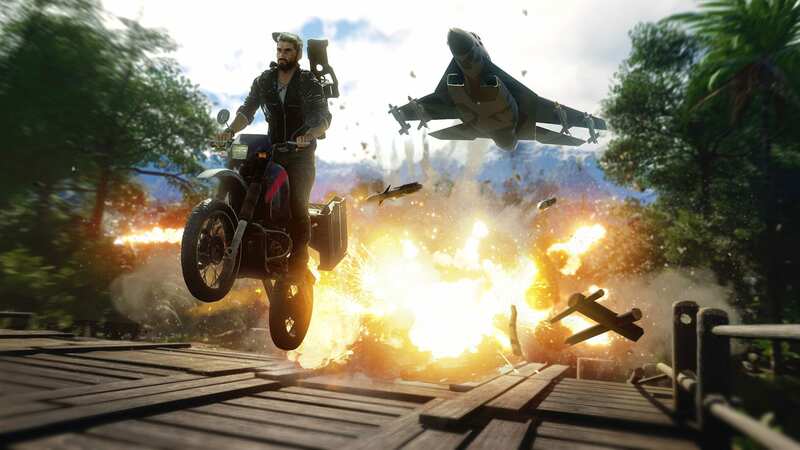 Despite running the latest Denuvo anti-temper protection, Just Cause 4 cracked in a single day after release. Which is quite surprising as the game was running which is simply mind-boggling. The games running the Denuvo anti-temper technology takes at least months or weeks to get cracked and CPY cracked the game in just a single day. The game was running on Denuvo 5.3 the same technology, which Hitman 2 was using and if you remember the game was also cracked before 2 days of release. At this point, Square Enix should consider removing the technology from the game as it may hurt players in performance or stability wise. Moreover, the technology cannot protect the game anymore. Faceoff against Gabriela Morales – your most fierce, capable, and unpredictable adversary yet. Enjoy 1024 square kilometers of an exotic playground, from rainforest to desert, via snowy mountain peaks. Customize your new grapple hook with evolved and brand-new capabilities, allowing you to create your own personal stunts, destructive methods, and overall play style.